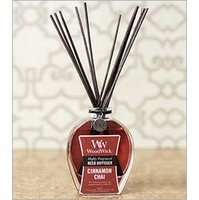 WoodWick Reed Diffusers feature highly concentrated fragrances infused with essential oils in a contemporary design. WoodWick's 3 oz. and 7 oz. Reed Diffusers feature an elegant glass bottle and wood top. 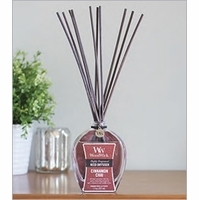 Refill any diffuser or create your own with our convenient reed diffuser refills. SPILL-PROOF DIFFUSERS - Experience worry-free home fragrance in an innovative, revolutionary design. 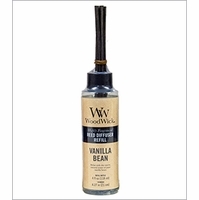 Scented oil is drawn up the natural wick and into the wood lid to diffuse long-lasting fragrance. Exclusive patent-pending design eliminates any mess from spilled oils!